A number of cars offer systems that can detect an impending collision and, in some cases, apply the brakes automatically. On Friday, a leading auto safety group issued its first ratings of the systems. Crash statistics show that these systems really do reduce car crashes, according to the Insurance Institute for Highway Safety, which conducted tests to measure effectiveness. But they don't come cheaply. "Front crash prevention systems can add a thousand dollars or more to the cost of a new car. Our new ratings let consumers know which systems offer the most promise for the extra expense," said David Zuby, IIHS chief research officer. The Institute rated the systems as Basic, Advanced or Superior. Auto-braking systems in vehicles rated Superior substantially reduced speeds, and in some cases stopped the vehicles altogether, in tests at 12 and 25 miles per hour. In many cases even top-rated systems couldn't avoid a crash but only reduced the severity of an impact. Even that is significant for safety, the Institute said. To earn an Advanced rating, a vehicle had to avoid a crash or reduce impact speed by at least 5 miles per hour in either the 12 or 25 mph tests, but not necessarily in both. 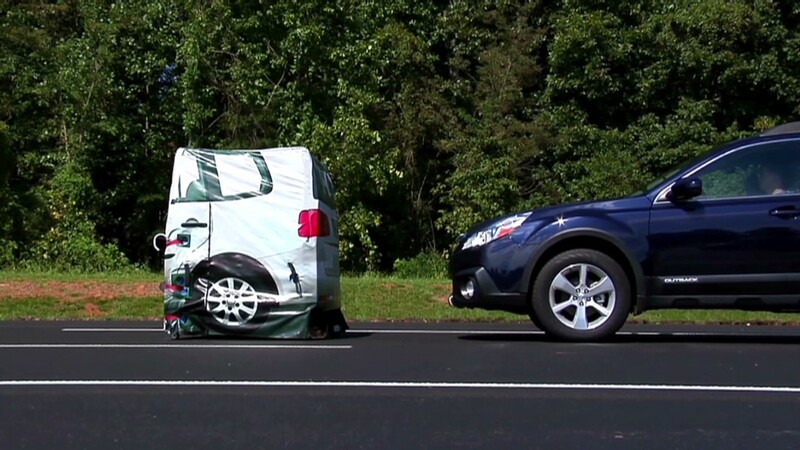 (In the tests, the vehicles were driven toward a large cloth box designed to simulate the back end of a stopped SUV.) Some of the systems rated as Advanced reduced speeds only slightly or not at all at the higher speed. In this round of tests, the Subaru Legacy and Outback were the only vehicles to entirely avoid a collision even at 25 mph. In its first round of ratings, the Insurance Institute looked at 74 different vehicles. 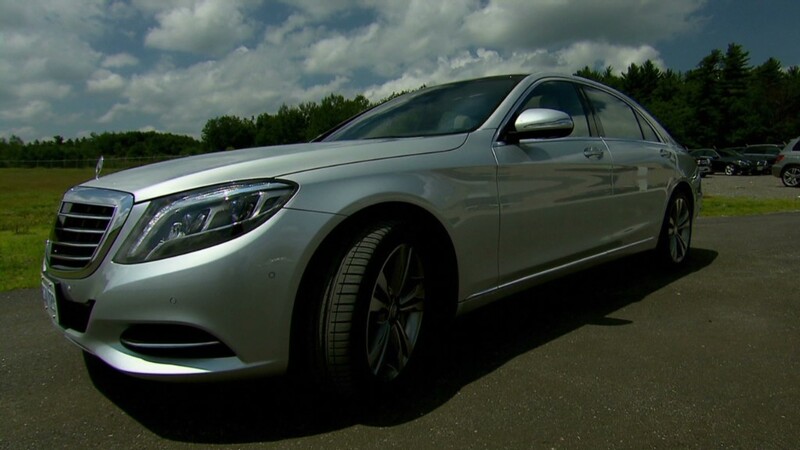 Those that earned the rating of Superior were properly equipped versions of General Motor' (GM) Cadillac ATS and SRX, Mercedes-Benz' C-class, Subaru's Legacy and Outback and the Volvo S60 and XC60. Vehicles that earned the Advanced rating were the Acura MDX, Audi A4 and Q5 SUV, Jeep Grand Cherokee, Lexus ES, Mazda6, Volvo S60 and XC60. The Volvo models that earned this rating had less expensive versions of the auto-braking system. To earn the lowest rating of Basic, a vehicle is not required to have automatic braking but must at least provide a warning of an imminent collision in five of seven tests. Most of the vehicles rated as Basic didn't have systems designed to provide automatic braking at all. The few that had automatic braking systems just weren't good enough, the Institute said. For instance, the system on the Infiniti JX35 -- recently renamed the QX60 -- didn't perform well enough. Institute spokesman Russ Rader called the JX35's braking "minimal." "Infiniti is proud to have been a pioneer in automotive crash avoidance and mitigation systems. We will study the result of this new test by IIHS as we continue to develop future technologies," said Nissan (NSANF) spokesman Steve Oldham. Nissan makes Infinity vehicles. The Toyota Prius V hybrid wagon offers an auto-braking system that performed so poorly in tests by the federal government's National Highway Transportation Safety Administration that the Insurance Institute didn't even include it in its own tests. The Prius V failed to meet NHTSA criteria for collision warning -- let alone automatic braking -- the Institute said, so it didn't meet the minimum criteria to be included. Toyota spokesman John Hanson explained that Toyota's system was designed before NHTSA had announced its criteria for collision warning systems. Also, Hanson said, the Prius V's system is an inexpensive technology designed to minimize, but not prevent, collisions while being affordable in a non-luxury vehicle. "We agree with IIHS that we need to move these technologies into the mainstream quickly," he said. The BMW 3-series, meanwhile, has a system that's designed to work only if radar detects the vehicle ahead moving before it stops. The Insurance Institute said that was not good enough. "The point of auto-brake systems is to help inattentive drivers avoid rear-ending another car," Zuby said. "It's clear that the ability to automatically brake for both stopped and moving vehicles prevents the most crashes." In 2014 model year vehicles, BMW does offer a system that responds to stationary vehicles, BMW spokesman David Buchko said. A complete list of the test results is available on the Insurance Institute's Web site. The Insurance Institute for Highway Safety is a private group financed by insurance companies.